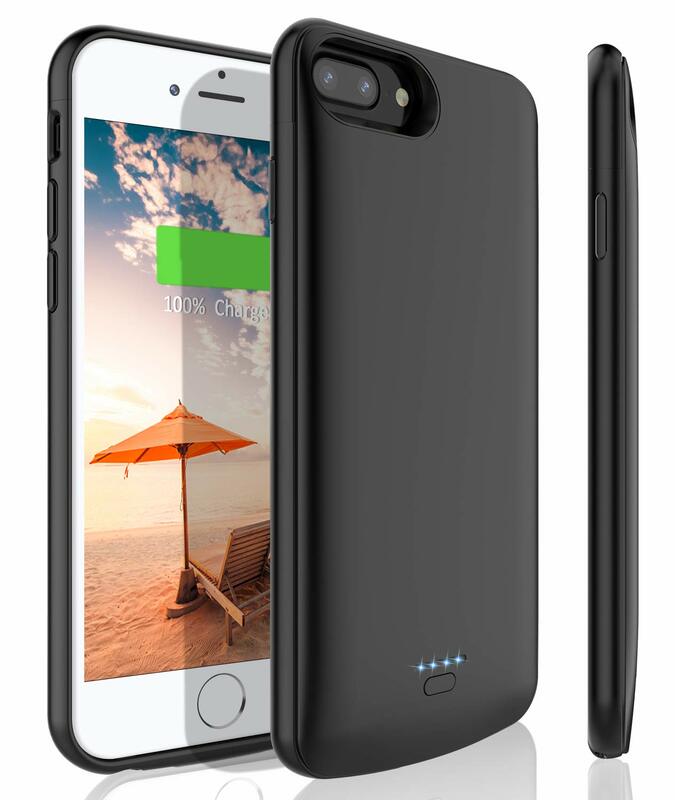 Say goodbye to the hassle of having to constantly deal with wires and lightning cables when charging with the new charge force wireless powered juice pack for iPhone 7 Plus! This advanced battery pack case provides both extra power and reliable protection to your smartphone, but it also comes with a revolutionary new charge force technology that allows you to charge it wirelessly. 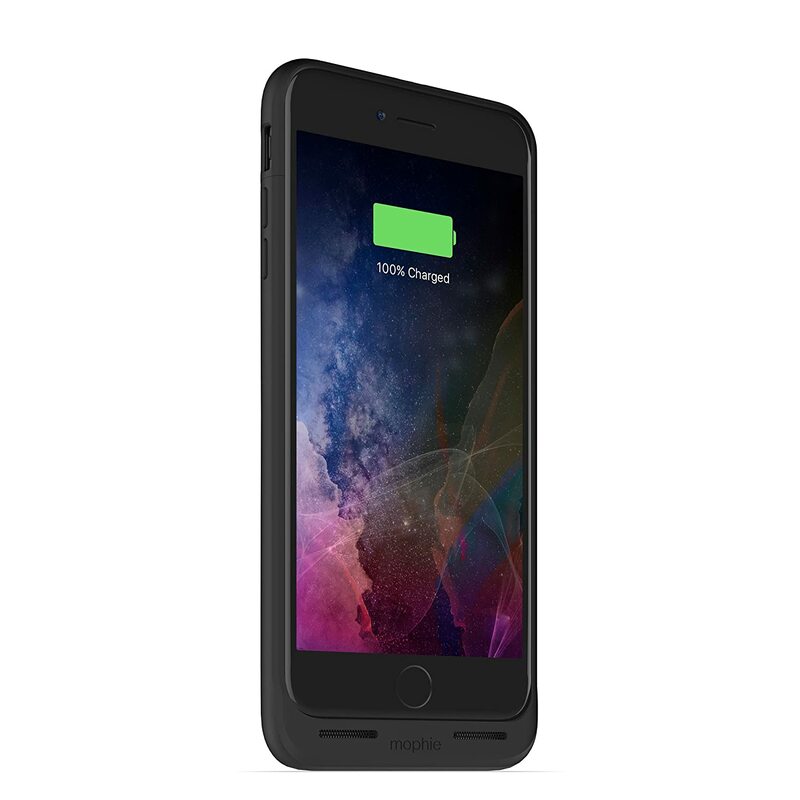 Compatible with Qi and other wireless charging technologies, you can top off your phone and case in cafes, cars, airports or anywhere that has a wireless charge system available. 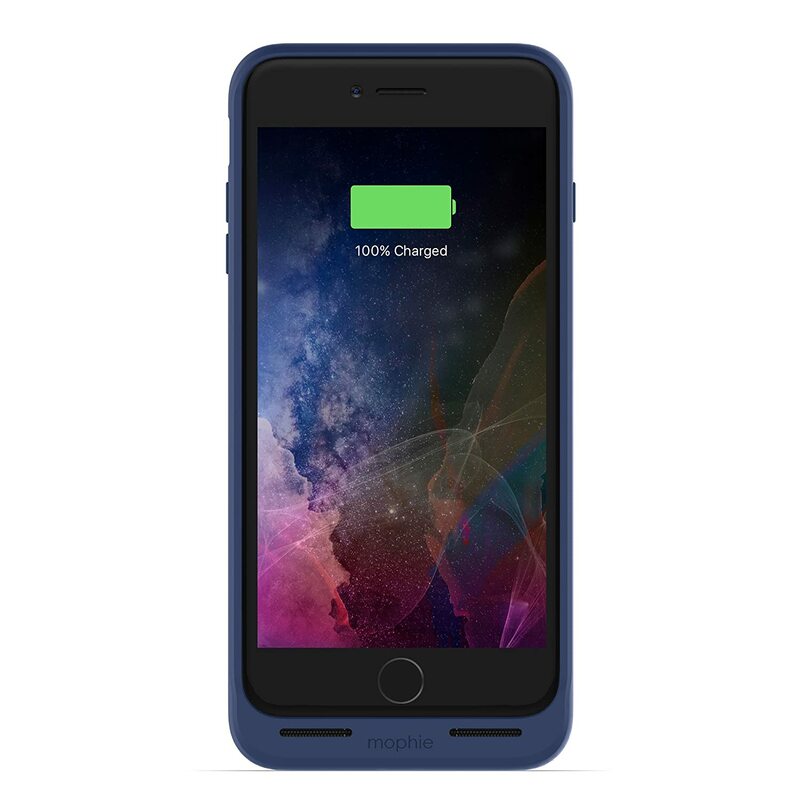 The charge force powered case has all the ingredients you’ve come to know and love about juice pack cases: extended battery life and solid impact protection. 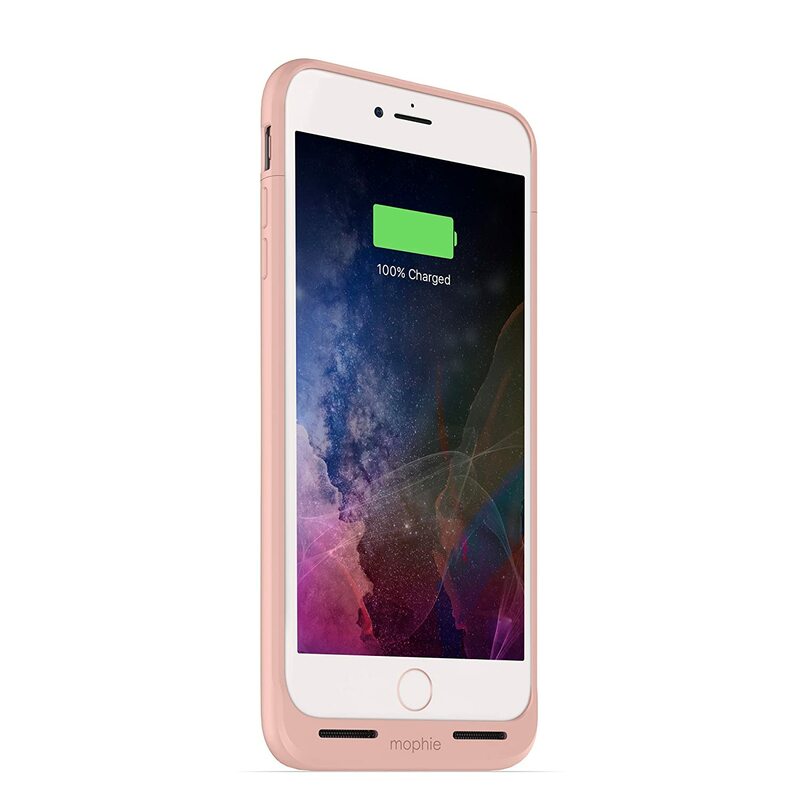 How could the folks over at make one of the best cases for the iPhone even better? Two words: wireless charging. No more tangled wires or old broken cables that simply don’t work. 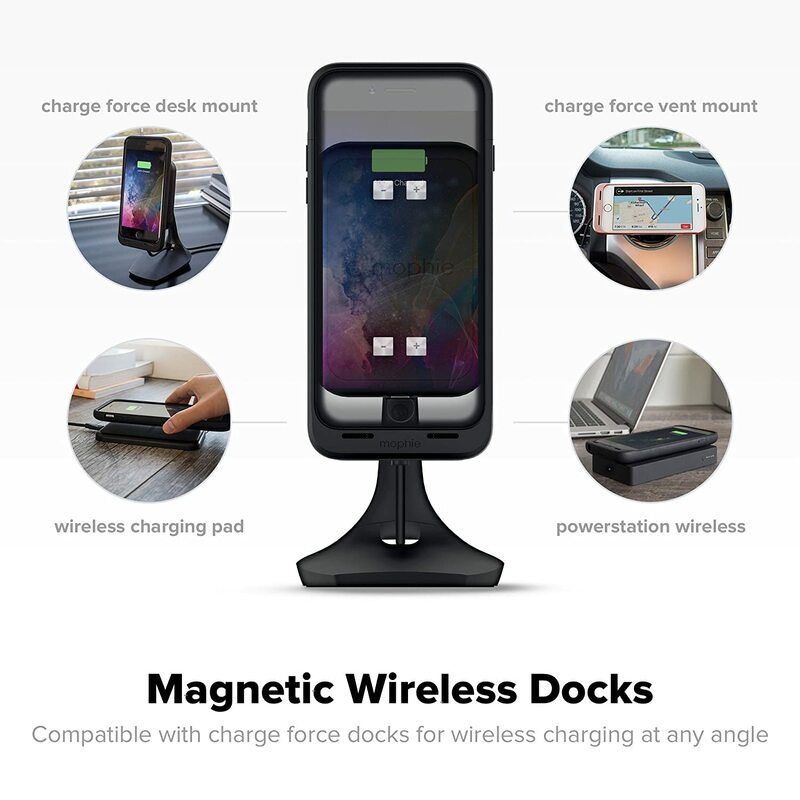 The charge force powered case uses a wireless charging base that connects to any standard wall outlet or to your car. 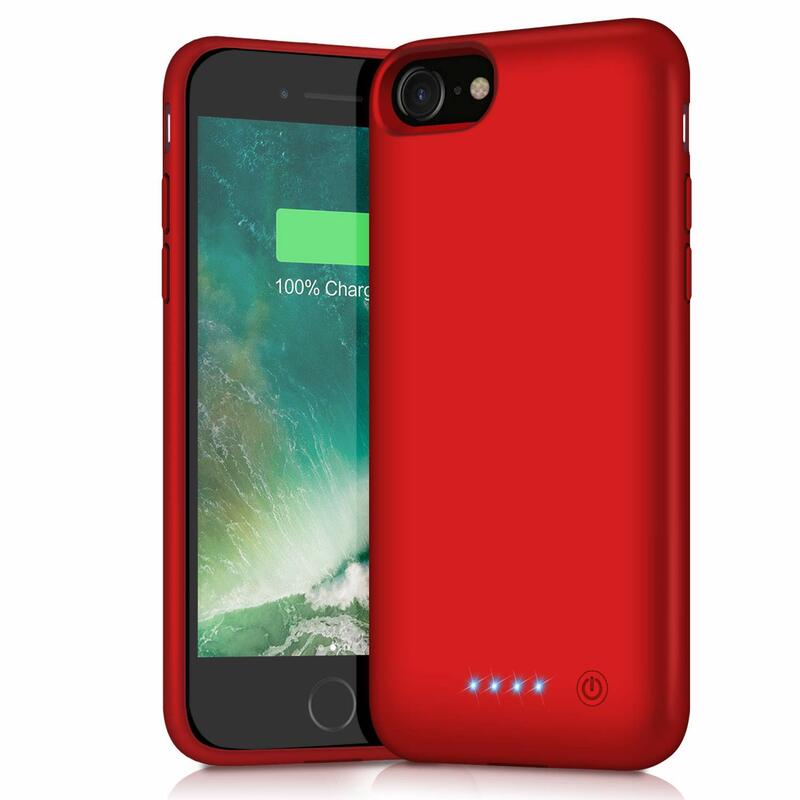 It has a magnet which keeps your phone securely in place while it charges. The juice pack itself has a built-in 2,420mAh battery that provides 60% more battery life, giving you a total of 33 hours with the push of a button. 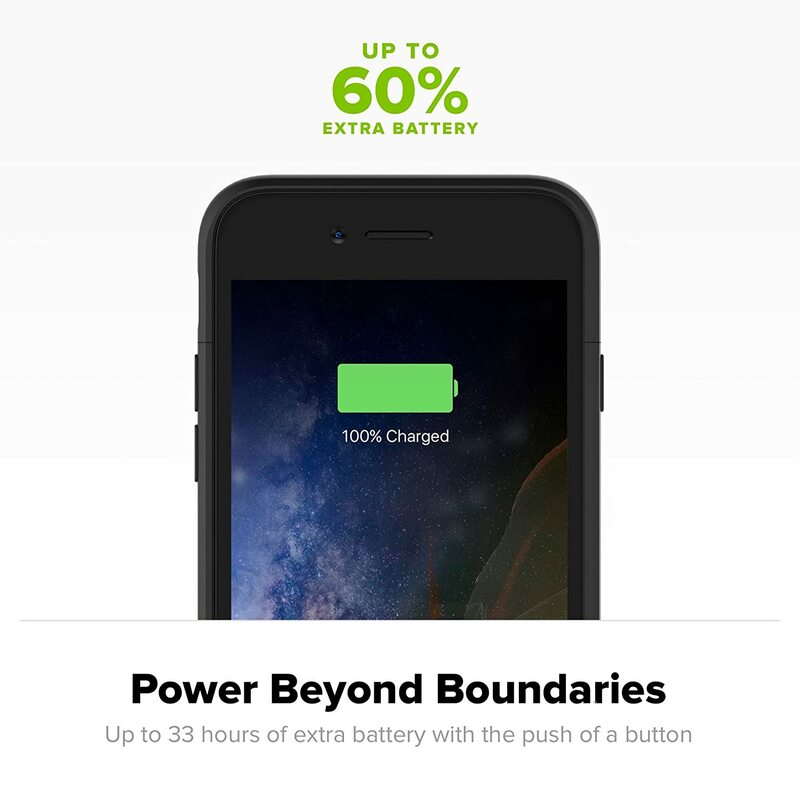 Get more out of your day without having to stop and charge. Smart charging circuitry helps deliver only the right amount of power of fast and safe charging. Pass-through technology means you can synchronize and connect to a laptop or PC using the Lightning cable without having to remove the entire case. The device will always be charged first before the juice pack. 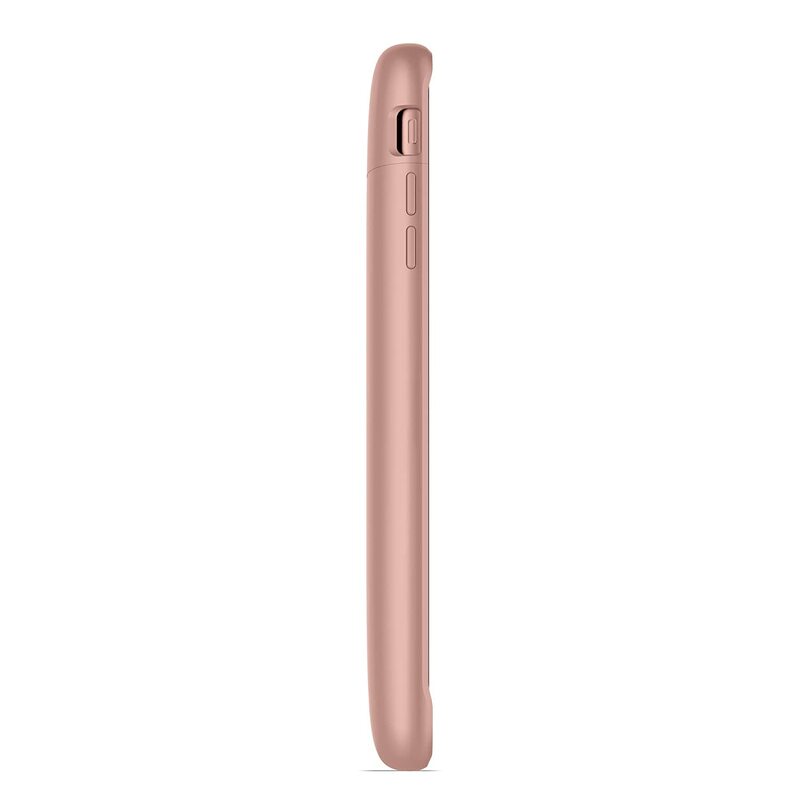 ’s unique Impact-Isolation System offers unmatched protection for your delicate iPhone 7 Plus with specially designed internal bumpers that have been tested to add extra cushioning to the corners and edges of the phone for reliable shock absorption. Free yourself from the old ways of charging and embrace the future with the charge force powered juice pack for the iPhone 7 Plus! 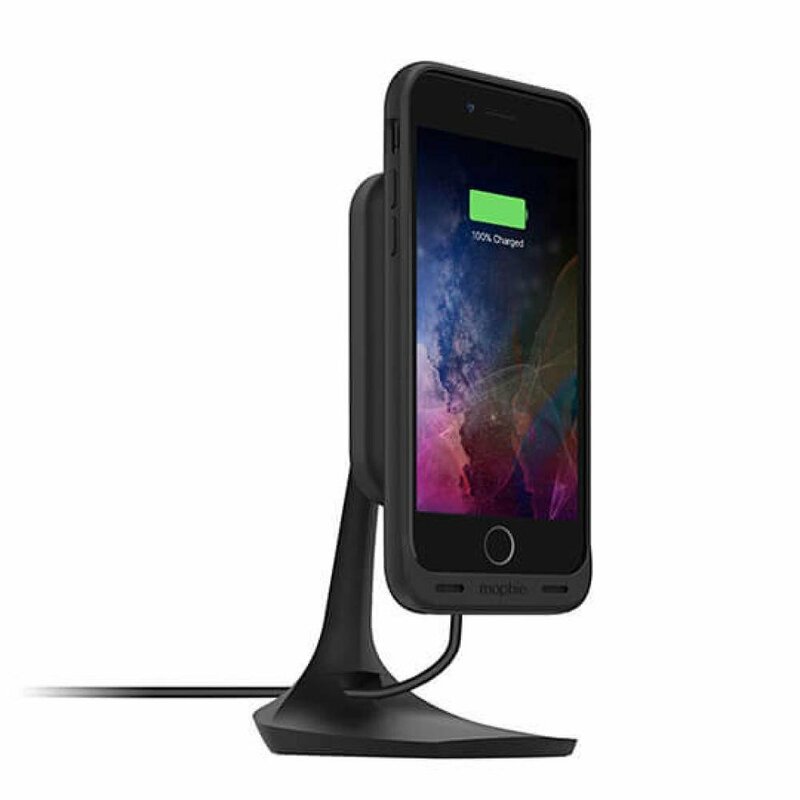 Juice up anywhere with a wireless charging base! Alright lets just get to it without the blab. 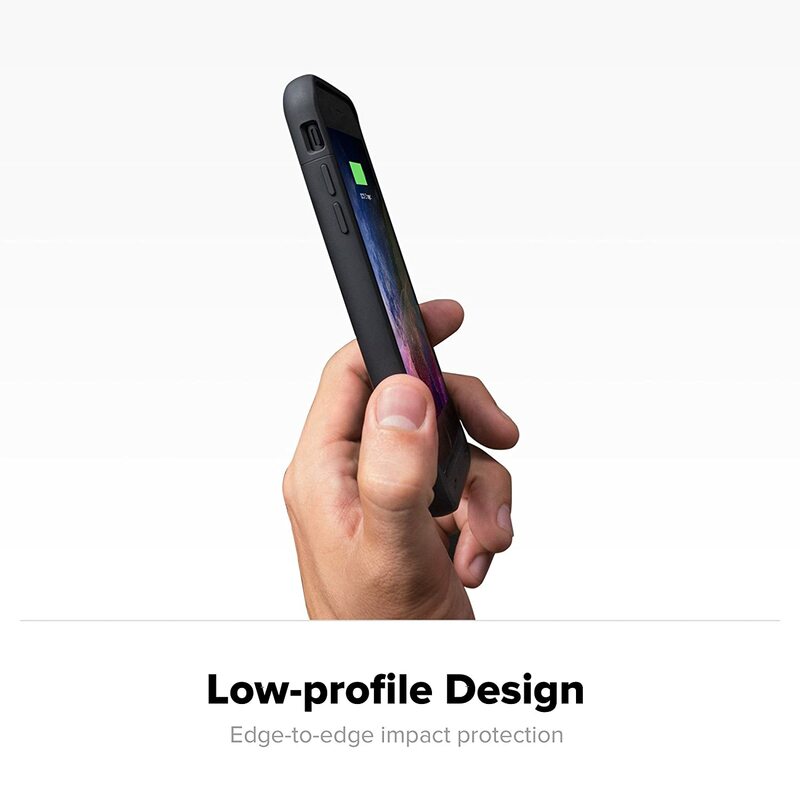 —It replaces the lightning connection to a micro-usb connector so no more apple cables to charge the phone with the case on...YAY! Micro usb cables can be found just about everywhere. —charging is slow...especially if you are using ur phone while charging up the phone with a cable plugged in. Im only talking about when the case is dead and so is ur phone. The cable will charge your phone first, THEN the case. Micro-usb seems to charge slower than lightning. 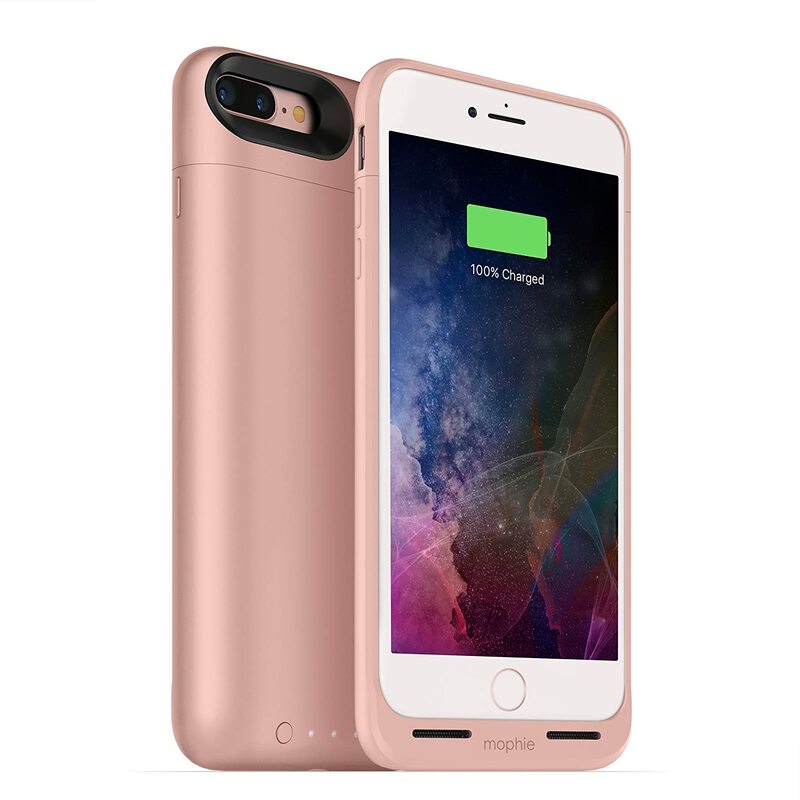 —you’re paying for the convinience of having a portable charger and case all in one. —if you have the piano black iphone this case makes it look blehh (not a problem for some but i like the piano black finish that i paid for therefore there should be a case like that! :b ) again, not a major concern.. 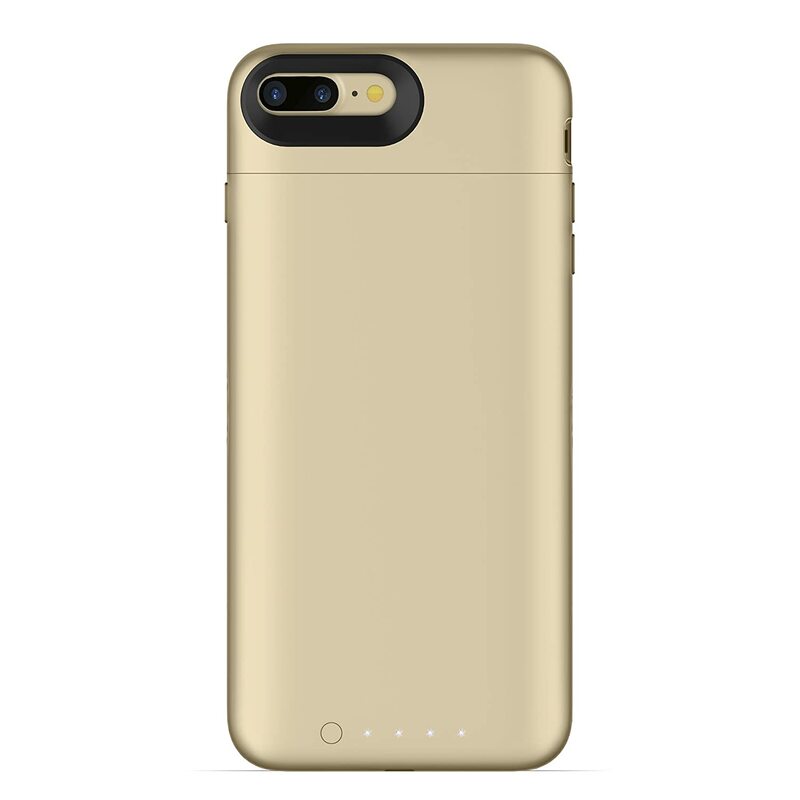 Does not hold charge as expected and often will run battery of iPhone down much faster than its normal life. Not pleased with this product. 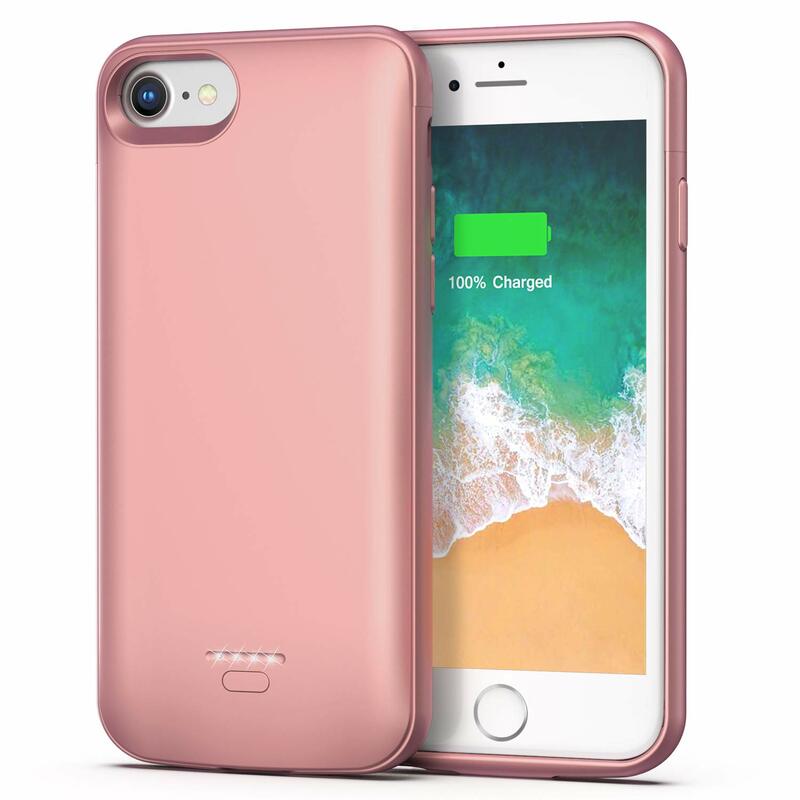 When fully charged, it does charge my iPhone quickly however, it drains the battery quickly if you forget to turn off the charge immediately after it’s charged. 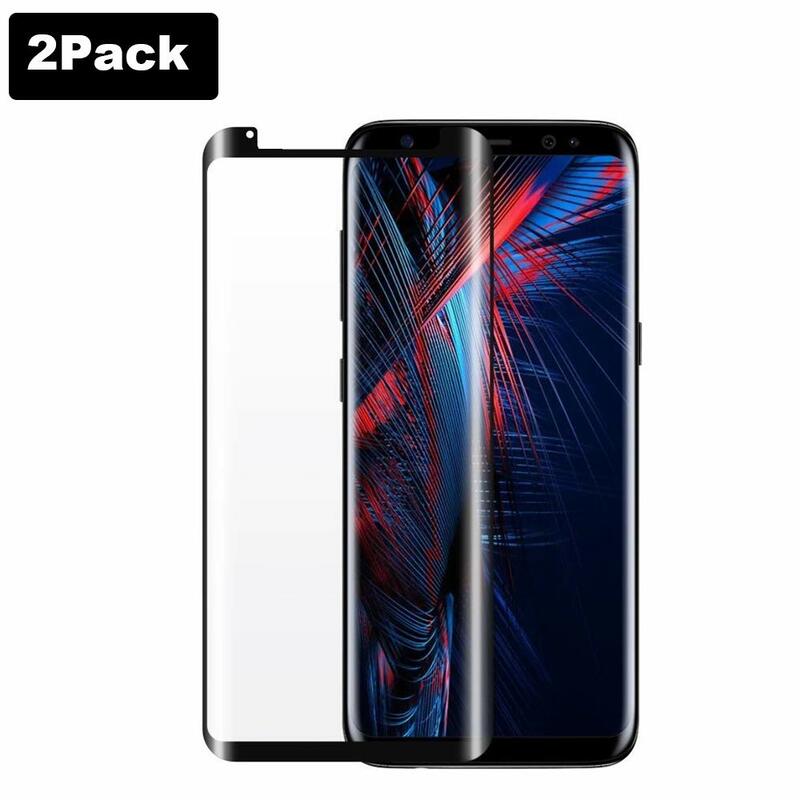 DON'T BUY FROM THIS SELLER! It's a hoax!!!! This is a piece of crap sold in a Mophie box!!!! 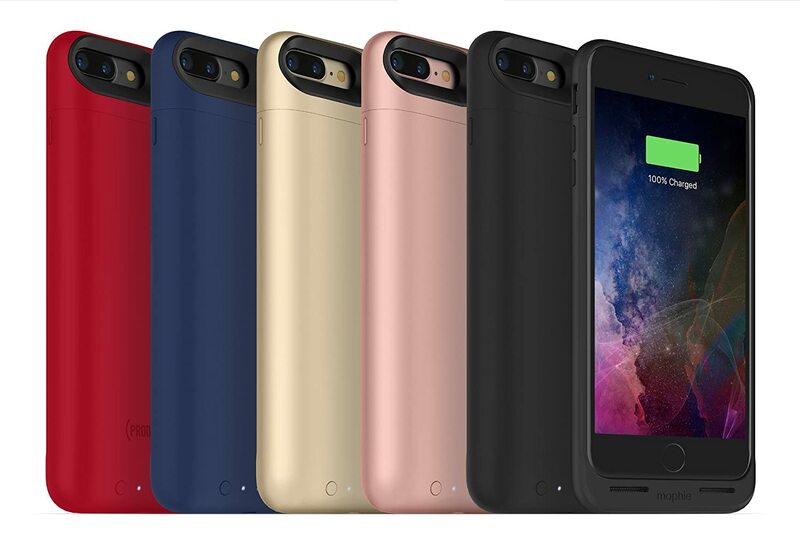 It is not a Mophie at all!! 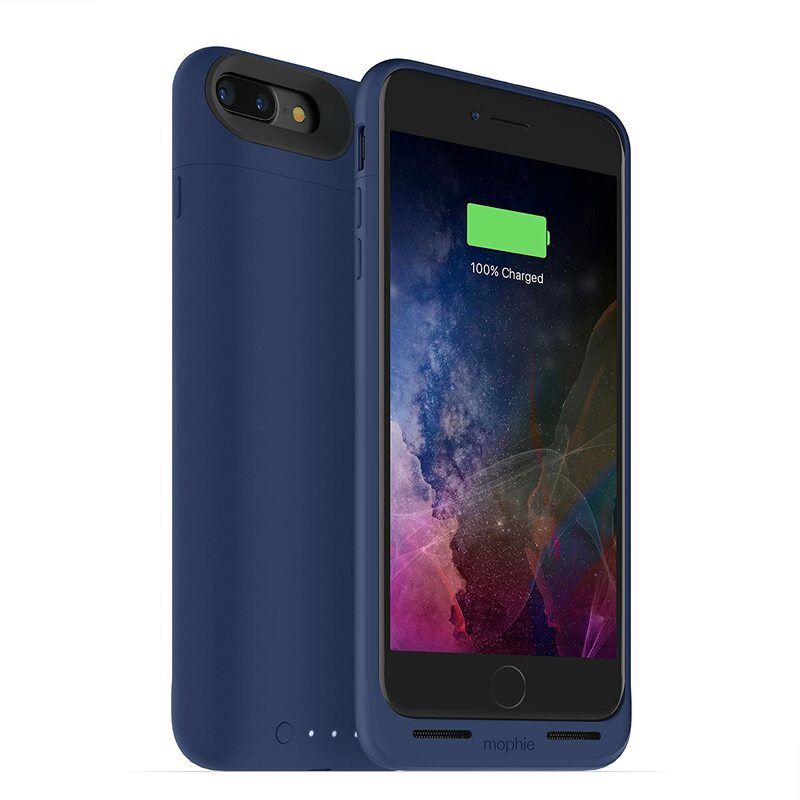 I went to the Apple store to find out why my charging chord wasn't plugging in properly nor was it charging my phone or this stupid new case. The Apple rep showed me a "real" Mophie and no where on this case does it even say Mophie!! Needless to say it's going back! Not made as well as before. This is my 2nd Mophie juice pack for my iPhone 7 Plus. I thought I misplaced the 1st one so ordered the 2nd on 4/16/18. FYI, the Amazon return window closed 5/19/18. 3 days ago, on 6/24/18, the micro B male cable just falls out of the Mophie. I have several cables (eg. next to the TV, next to my bed, in my car, & at my laptop). They either all just fall out when I'm holding my phone or they power off/on so I can't get steady power to the device. I definitely do not recall "twerking" the male plug when inserting it into female micro b in the Mophie so what the?!!! I'm very disappointed in it's construction! We really wanted an Apple-branded battery case so that we could continue to use the lightning charger cord and (maybe even) lightning earbuds. But Apple doesn't make one for the 7-Plus. And the ones they do make (for smaller models) are boring grey/black. So we ordered a knockoff brand for $30 that was total garbage and had to be returned. 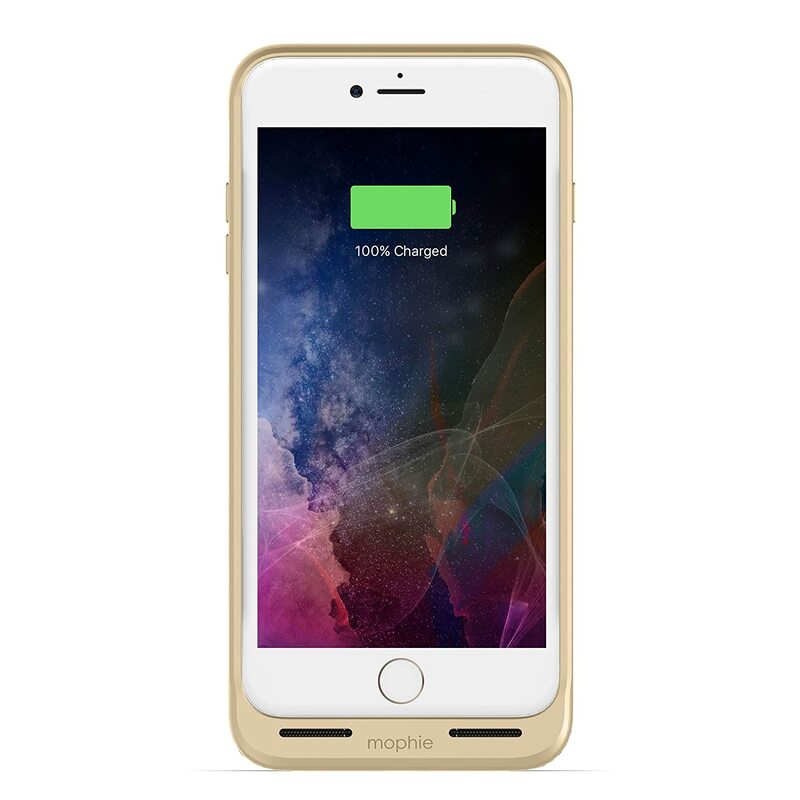 We finally went with the Mophie which is definitely the best in breed. It's very well made both as a case and as a battery. 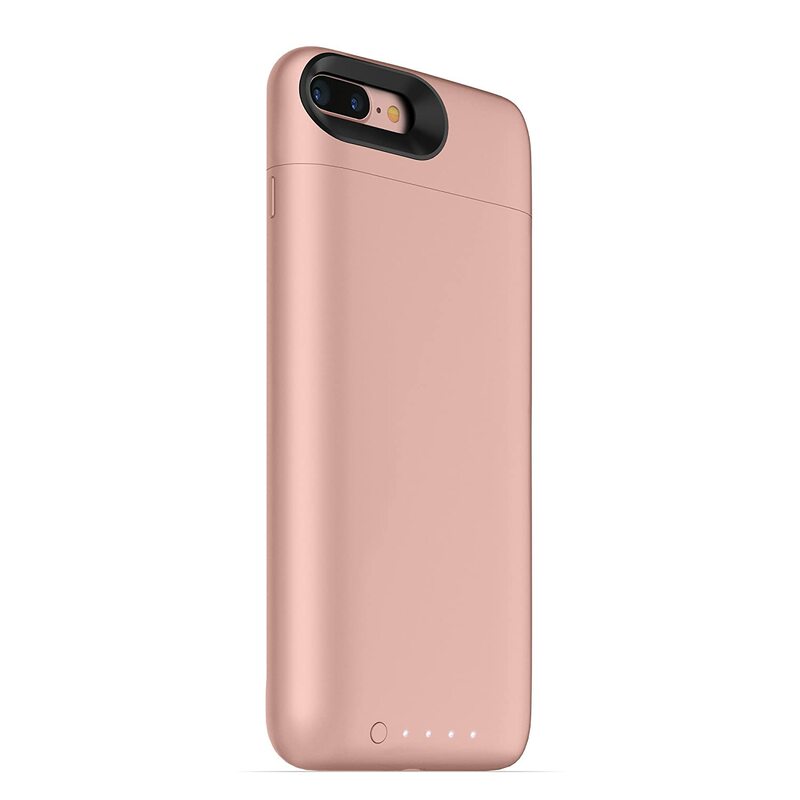 It charges well and works with 1A wireless chargers (at least until you install a pop-socket). Switching to a micro-usb charging cord (instead of lightning) turned out to be a non-issue. After trying a few I'm convinced this is the best one out there. Extremely useful product. Wireless charging works fantastic due to the magnets in the case. Stylish - modern - never run out of juice now. High quality construction and a perfect fit. I highly recommend this product. I love Mophie and the fact that their battery cases don't add a lot of extra bulk to the phone. 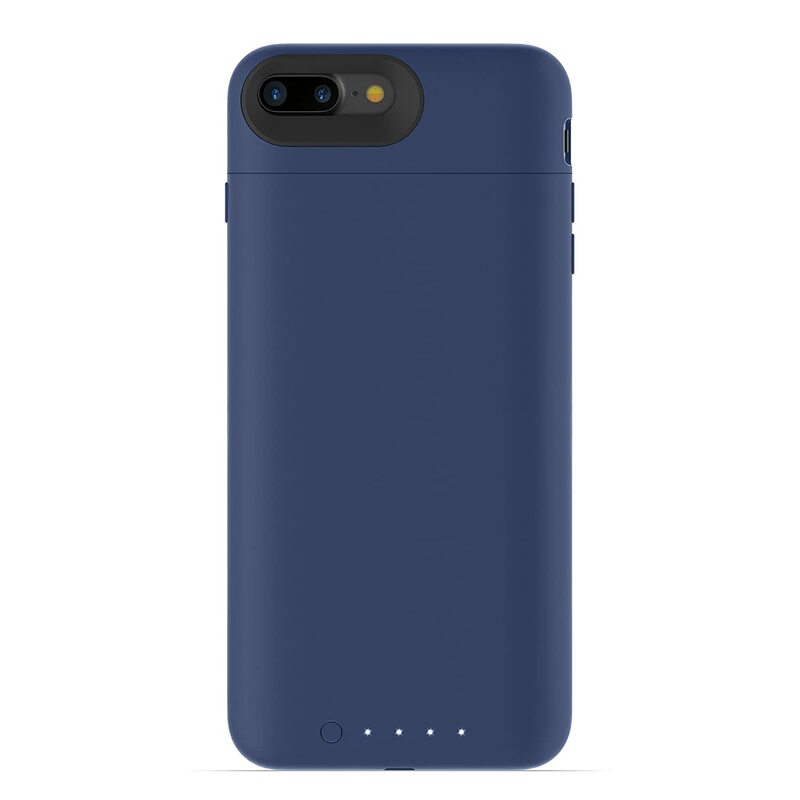 The one downside to this case over previous Mophie's that I've had is that this battery does not last as long as its predecessors. 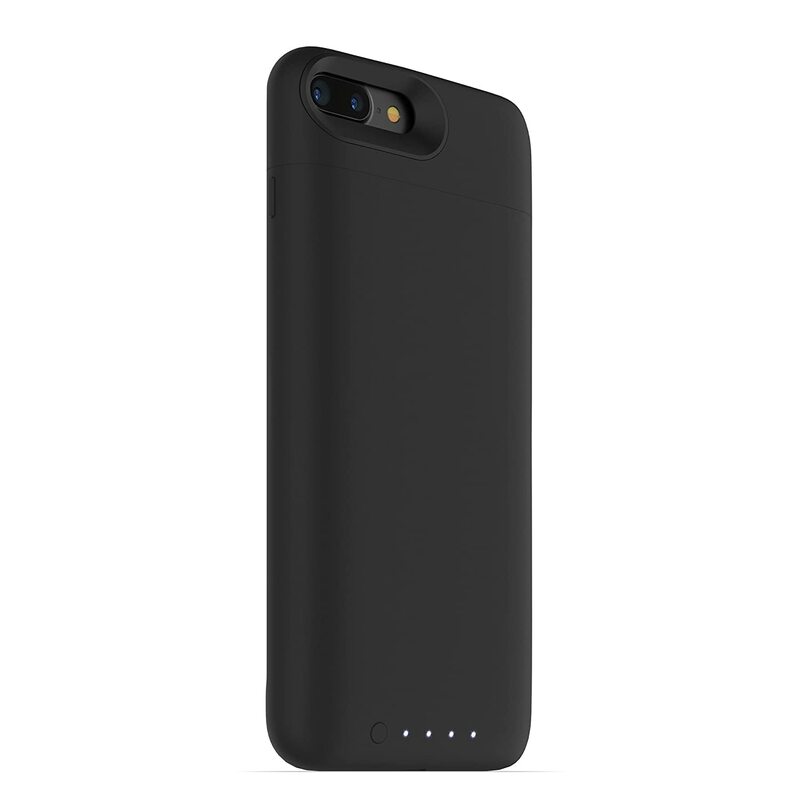 Previously, I could charge the Mophie and use it to charge my phone over the course of a few days without having to charge the battery pack again. That is not the case with this one. 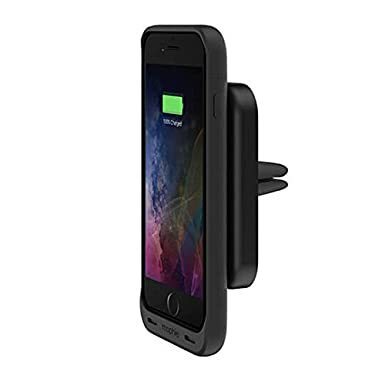 This one if you use it to charge the phone once you'll be charging the battery pack because it does drain it a lot quicker. However, that being said it is still a great battery pack and I love it just keep in mind you'll be charging it a little more frequently than we've had to in the past. Buyer beware. This product has worked relatively well as advertised - to "rejuice" my phone. However, you will NOT be able to connect your corded headphones without taking the phone out of the case. To the merchants credit they do state this 3/4 way down in the product description, "USB A to USB micro B cable juice pack case will not pass the headphone audio signal from the iPhone out through its micro-USB connector. For the best user experience, we recommend using Bluetooth headphones with your iPhone." Bluetooth headphones can be pricey. That said, it is not the end of the world. However, I did NOT realize this also means that you will not be able to use the wired Square credit card processor either. As a health care provider in private practice processing client copays a number of times a day, this can be a real drag. One either has to take the phone out of the case every time or purchase the wireless "SQUARE Contactless and Chip Reader" credit card processor for $49 from SQUARE. That makes the product a $100 investment.